Word on the street that AMC’s famous crime drama series Breaking Bad would be returning as movie has been confirmed by actor Bryan Cranston, who played main protagonist ‘Walter White’ inside the show. Cranston confirmed the speculations on Wednesday’s episode of the Dan Patrick Show, included below. Cranston expressed his enthusiasm to reprise his role as ‘White’ mainly because of the show’s creator Vince Gilligan, whom Cranston describes as a “genius.” He added that Breaking Bad is a “great story” and that many fans are awaiting for some completion to the storylines that were left unresolved. “…[T]his idea, from what I’m told, gets into at least a couple of the characters who were not completed as far as their journey,” Cranston carefully remarks. According to the Albuquerque Journal, the film’s production is initiating mid-November under the title ‘Greenbrier’. The show’s logline suggests that ‘Greenbrier’ would “[track] the escape of a kidnapped man and his quest for freedom.” /Film subsequently revealed in an exclusive that this “kidnapped man” is none other than ‘Jesse Pinkman’, who will be played once again by Aaron Paul. The film will chart his getaway from Albuquerque following the finale’s bloody occurrences. 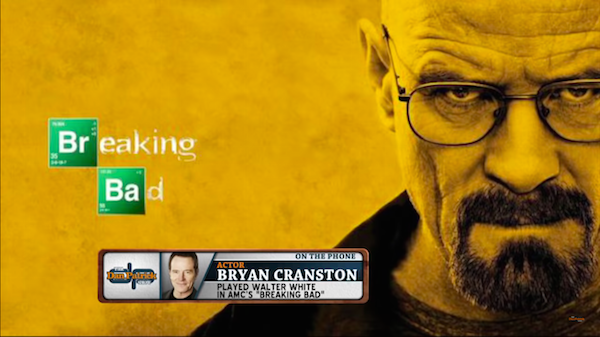 Breaking Bad fans, are you excited about this news that revives the popular AMC series after a decade?